A senior regional press editor is to step down after 32 years with a local publisher in the wake of its recent takeover by Newsquest. Barrie Jones, left, started his career at NWN Media with the then weekly Wrexham Leader in 1983 and has edited daily title The Leader since 2005. He has now decided to step down from his role as NWN’s editorial director which he has held since 2010. Barrie, who will leave the business at the end of this year, is the second senior NWN executive to leave since the takeover, following managing director David Faulkner who stepped down in October. NWN, which publishes 13 weekly and one daily title across North and Mid-Wales, Cheshire and Shropshire was acquired by Newsquest in September. Since then the company has been integrated into a newly created division of Newsquest which also includes its North West titles. Nick Fellows, managing director for Newsquest North West & North Wales said “I would like to thank Barrie for his support and professionalism during the initial integration of NWN Media with the Newsquest Media business. “His wealth of knowledge has been invaluable. I would like to wish Barrie every success in his future career”. Added Barrie: “During my time the news industry really has changed beyond all recognition. My memories of the early eighties are still of clanking metal typewriters, carbon paper and cigarette smoke – no newsroom computers in sight! A philosophy graduate, Barry first joined NWN as a reporter with The Wrexham Leader in 1983 before spells on the North Wales Weekly News group and Thomson Regional Newspapers. 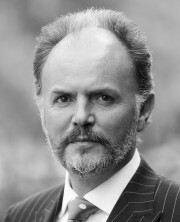 He returned to NWN in 1989 as editor of the Wrexham Leader before being appointed assistant editor and then editor-in-chief of the Evening Leader in 2005. He became editor-in-chief of NWN in 2008 and joined the board as editorial director in 2010. Barrie also worked with Glyndwr University to develop its training course for journalists and is a board member of the Society of Editors.